What Does the Acronym RUH Mean? 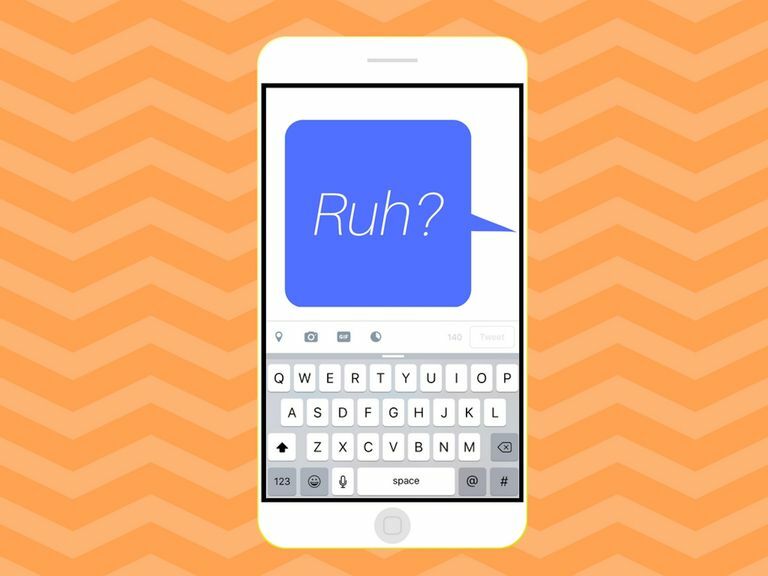 Did somebody just message or text you the acronym RUH? If so, here's what you need to know about it so you can respond in the most appropriate way. If you're at all familiar with today's modern slang, you might already be able to tell right away that someone who sends you this acronym isn't asking if you're physically equipped with horns. The H-word in the acronym RUH is a crude slang term for the word aroused. When you replace the H-word with it, you end up with the question, "Are you aroused?" So when a person puts RUH in an online message or text, what they really want is to know whether the recipient is aroused (most likely in relation to the person asking it). It's really as simple as that. Since RUH is a sexually suggestive acronym that contains a vulgar slang term, it's often an acronym that's saved for people looking to connect in physically intimate ways. For obvious reasons, people might do this privately as opposed to openly on social media for all their friends and followers to see. Couples in a committed relationship might use it while text messaging each other (otherwise known as "sexting") or a stranger might say it to another stranger via private message on a dating site. Likewise, it's usually directed at just one other person. You're unlikely to see anyone posting RUH as a Twitter or Facebook update hoping to get hundreds or even thousands of answers from multiple people. A person's response to this acronym may be in the form of agreement, disagreement, offensiveness or even indifference. It all depends on the relationship between each individual, their personal interests and the level of comfort they feel with using such language online or in text messages. Someone who's looking to connect with another in a physically intimate way and is excited by a potentially attractive candidate's interest might respond to their question of RUH with "yes." On the other hand, someone who is not looking for physical intimacy specifically with the person asking RUH (if at all) might respond with "no." If a person who's on the receiving end of this acronym feels uncomfortable or offended, they may choose to express their feelings in a mature and truthful way or simply ignore the messenger by refraining from giving any answer at all. Nobody owes anyone an answer when they send this particular acronym (or any sexually suggestive content at all, for that matter)—especially if they're a complete stranger. The acronym RUH isn't used for anything else but for asking another individual about their state of sexual arousal, so if you're not interested in knowing how aroused they are, you should forget about using this acronym. And even if you are, that doesn't automatically give you the okay to use it. Everyone deserves to be treated with respect, and you can't always tell with accuracy whether a person will be comfortable with this kind of question—whether they're actually aroused/interested or not. This acronym should always be used with extreme caution, however, the following guidelines can give you an idea when it may or may not be appropriate to use. Texting/chatting with a partner you are currently involved with and whom you know is comfortable with sexting. Texting/chatting with someone new on a dating site or within an online community who has or is currently showing clear arousal/sexual interest. Texting/chatting with someone you already met in person (but are not currently involved with yet) who has or is currently showing clear arousal/sexual interest. Texting/chatting with someone who has never shown any arousal/sexual interest at all. Texting/chatting with someone on a professional platform (such as LinkedIn) or on an open social network (such as in the comment section of Facebook status update). Texting/chatting with someone who is giving mixed messages—perhaps seeming slightly interested, but not enough for them to seem comfortable about it.